For a night time cough - Cut up a small lemon and add it in 2cups of water. Bring it to a boil then simmer 5minutes and add honey. If you suffer from kidney stones, start putting a slice of lemon in your water. The chemical structure will dissolve the stone and will keep kidney stones at bay. 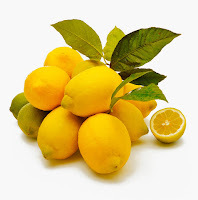 Help with diarrhea with a squeezed lemon in a cup of water. Wart Remover - Baking soda, water and lemon juice mixed and drank will help warts disappear. Sore Throat - Lemon juice from the bottle/ natural mixed it with honey, apple cider and water warmed up in a microwave will sooth a sore throat.